WASHINGTON — Local fire and emergency response leaders briefed Metro on the progress made toward upgrading radio systems for first responders in tunnels and enhancing cellular telephone service to allow riders to reach 911 in an emergency. Metro reached a deal in principle with the wireless carrier networks to upgrade the fiber optic cables in tunnels to enhance coverage. The system currently runs on a legacy Verizon system that falters and does not work for riders with AT&T or other wireless networks. 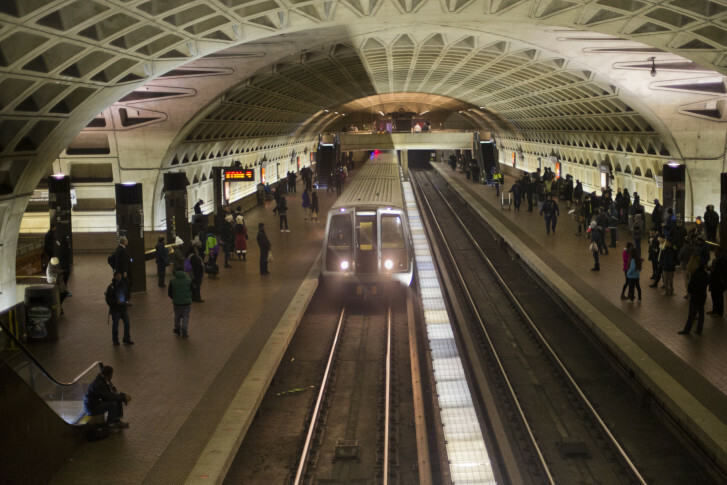 “All that is left is to cross the T’s and dot the I’s,” says Metro Interim General Manager Jack Requa, who believes the contract will be signed within day or weeks at most. Tests conducted earlier this year found that only 27 percent of phone calls to 911 from Metro tunnels are received, compared with more than 95 percent from platforms. “There is a huge amount of the Metrorail system [in which] basically 911 service is very, very, very limited,” says Steve Souder, director of Fairfax County 911 communications. Work is expected to begin in January to install the new cables to upgrade wireless capabilities in the tunnel, but Metro says the work could take five years to complete. “What is currently proposed is unacceptable to us. Pressuring them for a more aggressive implementation is going to be at the top of our priority list in meetings coming forward,” says Prince George’s County Fire Chief Marc Bashoor. Metro says the problem has to do with access to the tunnels and how to balance this work with all the other necessary track maintenance. “We all think that is too long. We’ll do everything we can to move it up, but we have to have the system shut down to allow the work to be done in the tunnels. We’ll do everything we can to speed it up,” says Requa. He later added that single-tracking during the day and weekend station closures could also be an option to install cables. The Federal Communications Commission wrote a letter on Wednesday asking the Federal Transit Administration to lean on Metro to speed up the timeline. “The troubling timeline for the entire project — reportedly scheduled to take until 2020 — should inspire FTA to examine ways to expedite the work,” wrote FCC Commissioner Michael O’Rielly. Metro’s previous attempt to upgrade cellular service in the system failed when the company behind the project went bankrupt. Metro workers will likely install the fiber optic cables while they’re already in the tunnels also installing coaxial cables to improve the radio coverage. First responders during the L’Enfant Plaza smoke incident on Jan. 12 had trouble communicating over radio and had to use line-of-sight communication. Still, interim work has been done to improve radio coverage until more permanent upgrades are made. Bashoor says they will not rest until 99.9 percent of the Metro system passes tests for radio reliability. “When it was measured in the March time frame, it was around 90 percent,” says Stuart Freudberg, deputy executive director at the Council of Governments. “It’s probably in the low 90s now, based on all the testing and corrective actions. It has been improved, but it’s not 99.9 percent,” . However, the timeline to get the radio coverage up to the goal will also take several years to complete. “Getting WMATA’s emergency radio system in place is also critical. They have that budgeted and they’re in the process. But again, it’s a multiyear project and it won’t be fixed right away,” says Bashoor. He adds that many steps have been taken since the L’Enfant Plaza incident to improve communications. Bashoor says tactical bidirectional amplifiers are now being used to boost the signal to assist during rescues, in addition to formalizing the line-of-sight communication as a backup. These amplifiers are portable units that can be brought to the scene of an incident and deployed if necessary.